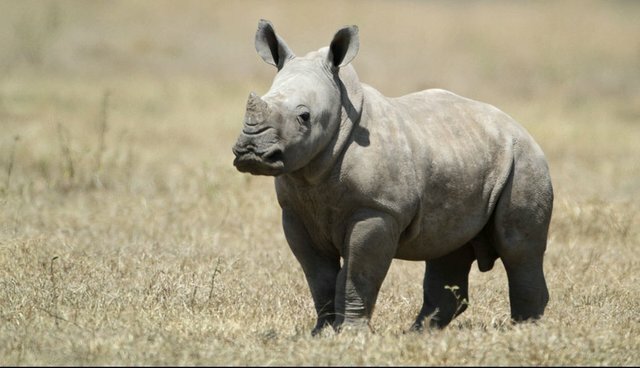 As the mature rhino population in Africa continues to dwindle in record numbers due to illegal hunting, poachers have begun targeting defenseless rhino calves to rob them of their tiny, developing horns. On the black market where it's sold as traditional "medicine," rhino horn can fetch as much as $100,000 per kilogram, valued at more than twice the price of gold. Bryce Clemence, a ranger with Anti-Poaching and Tracking Specialists, says that as a result, now even the smallest rhinos are lucrative enough to target. In 2014, Clemence witnessed firsthand the devastation left behind by poachers in a Zimbabwe wildlife preserve after a black rhino mother, named Diana, lost both her babies - one 9 months old, the other 3 years old - in an attack. "[The poachers] shot her calf," he told the South African Press Association. "Diana ran off with the other calf. [But] they found her with the little one, opened fire on both, and killed the little one. His horn was about 40 grams; there was hardly anything." Sadly, despite being treated for gunshot wounds, Diana died seven months later from an infection related to her injuries. 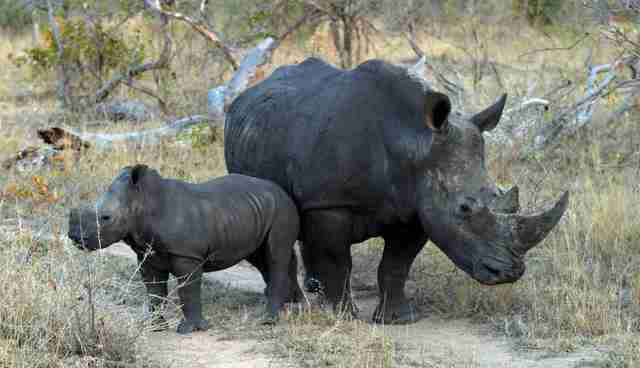 There are only about 750 black rhinos left in Zimbabwe, and though poaching there has fallen slightly in recent years (thanks to conservation efforts), the species' numbers are down dramatically from historic levels. Elsewhere, however, poaching rates continue to soar. In South Africa, home to the largest number of African rhinos, 1,215 of the animals were killed in 2014 - a 21 percent increase over the previous record high set just the year before. Visit Save the Rhino International to learn how you can help.